You are visiting Shine School of Music Online. To inquire about our school in South Africa or in Spain, visit Shine School of Music Johannesburg or Shine School of Music Barcelona. It’s easy to learn an instrument online. The Shine School of Music will help you fulfill your musical dreams wherever you are in the world. A simple click of a button, and you can be studying with your own private teacher from the comfort of your home or office. One-on-one live music classes are convenient and easy. 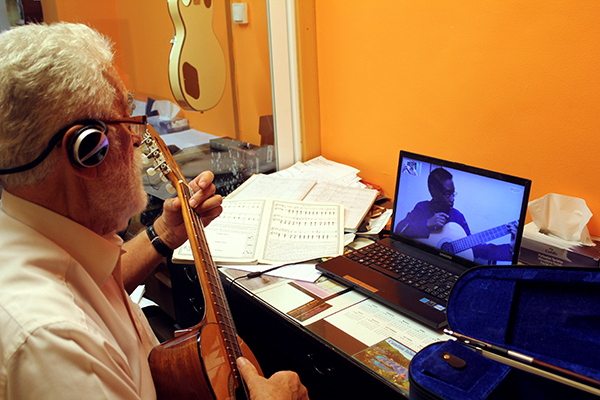 To begin your online lessons, Shine school of Music requires only that you have a working computer with internet, a webcam and microphone and speakers. These days many laptop computers come with camera, speakers and microphone all built in. If you have a desktop computer, or older computer, you may need to install an external camera, speakers and microphone. All of these items can be easily ordered online, or bought from your local computer shop. Once your computer is set up, you will need to elect software to use to begin your lessons. We recommend Skype, but also provide classes via Google Hangouts and Apple Facetime. Once you are signed up at the school our administration staff will send you a trouble shooting guide and we can also provide assistance over the telephone. If you would like to conduct your lesson over a different program, simply email or call the school to find out if it is available for your lesson. Contact us to sign up for lessons. The Shine School of Music offers music training with qualified and experienced teachers. The school provides quality music education for students of all ages and all levels. 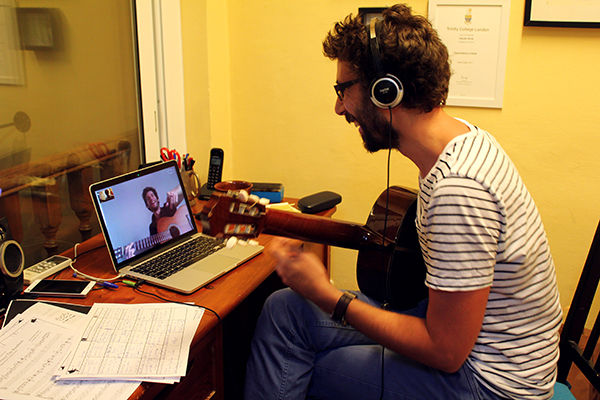 Now, students all over the world are learning music with the Shine School of Music. 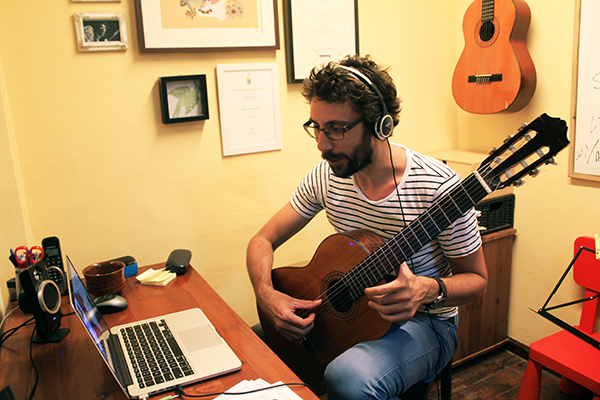 Participate in guitar classes, piano classes, bass classes, ukulele classes, and more through our Online Classes. 3 Great Guitar Apps for your mobile. Yearly Estudio Shine Concert 2015 – Our Beginners Perform!